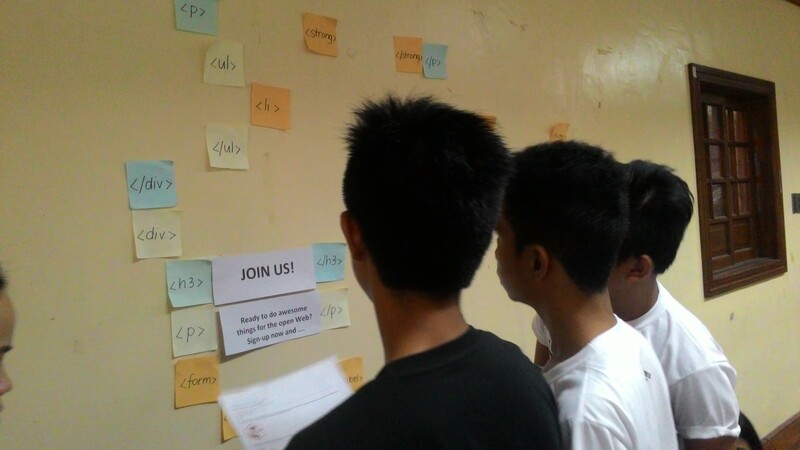 After a brief introduction of Mozilla and HTML Basics we gave a post it note to each participant containing an HTML tag. Then we asked them to find the pair of the tag they are holding. 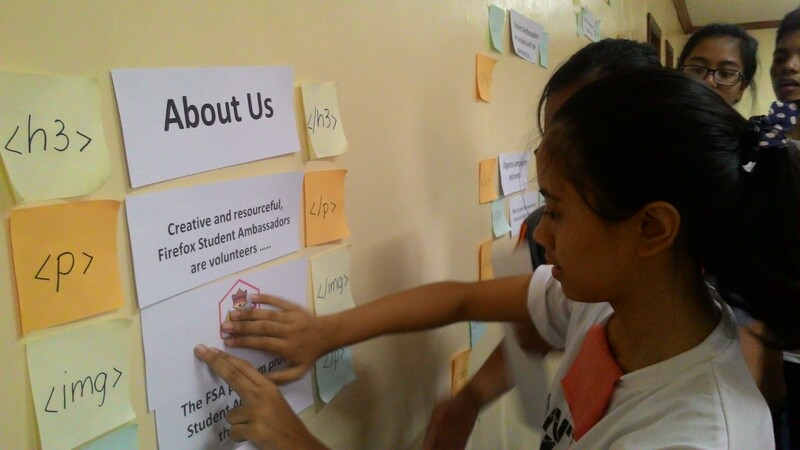 After they found their partners we then started constructing our web page on the wall. We had 2 printouts given to every pair, the first are the contents of web page and another is a final page screenshot which would serve as guide for what HTML tag goes with what. 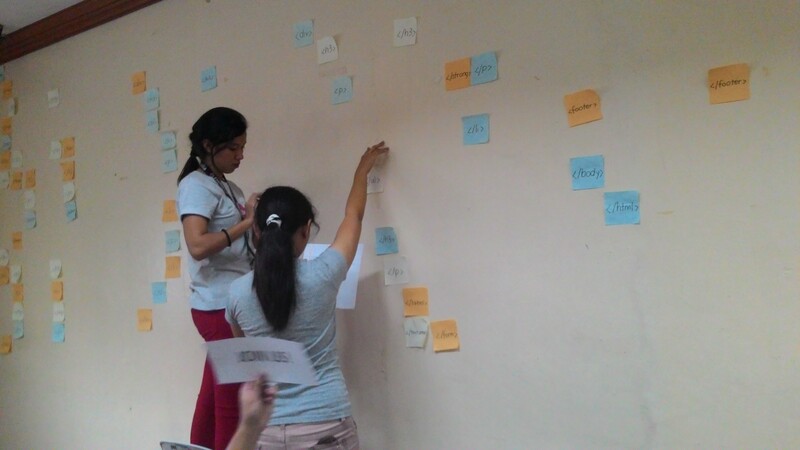 The facilitators took turns on explaining how each HTML tag is used and the code structure. 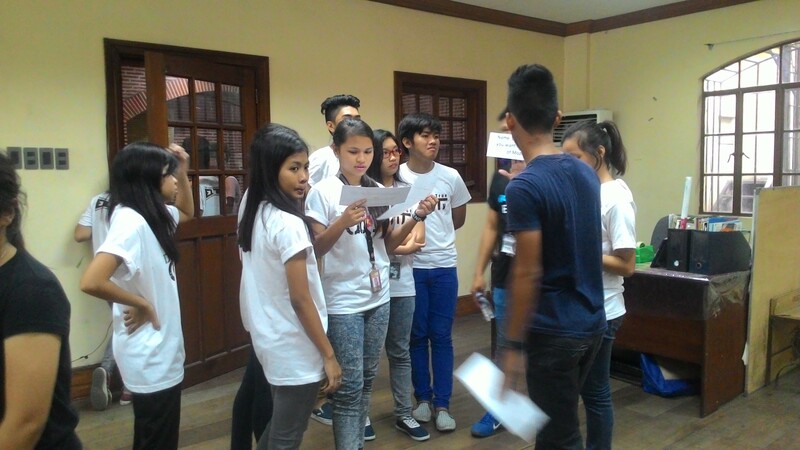 Rey Aguilar while helping out the participants which tags to use. 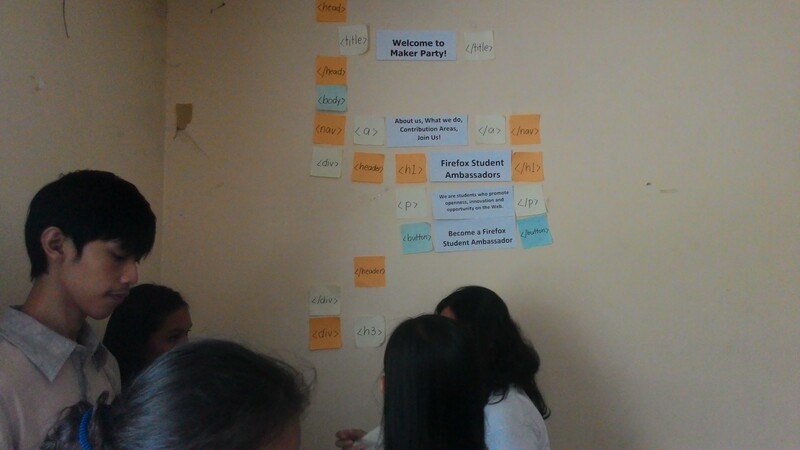 The facilitators and I had a quick discussion after the first batch because posting the tags on the wall takes up a lot of time. We decided to come up with a different flow compared to what we originally planned. We let the HTML tags remain on the wall and removed only the contents. Vennis Sacro and Arlene Taliente prepping for the next batch. 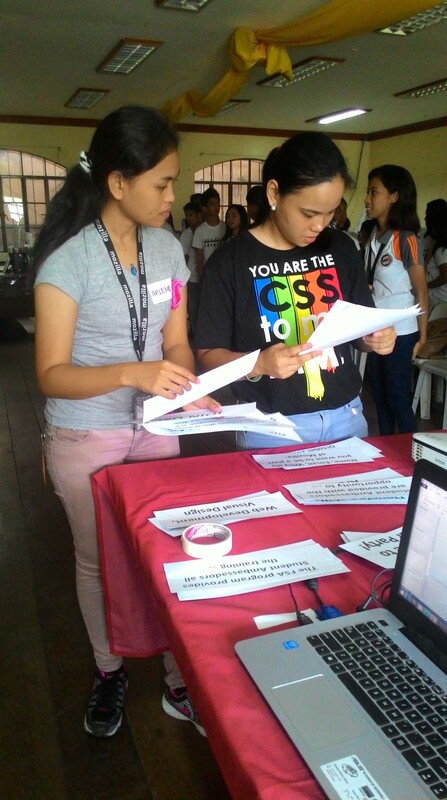 Arlene Taliente and Elaine Gutierrez sorting out to ensure that groups get a variety of page contents. 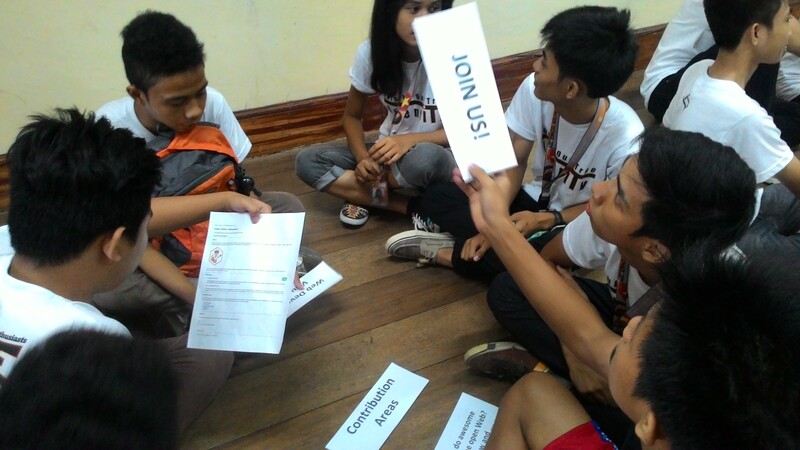 Then we grouped the participants and gave them the printouts. 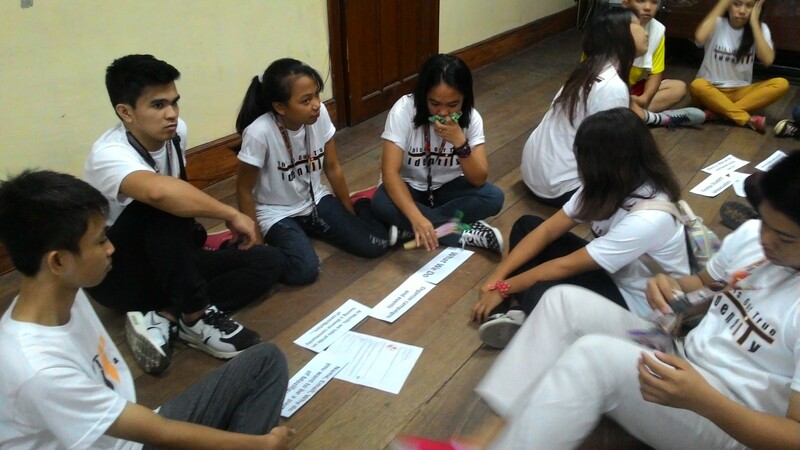 We tasked them to figure out what tags go with each content with the final page screenshot as a guide. 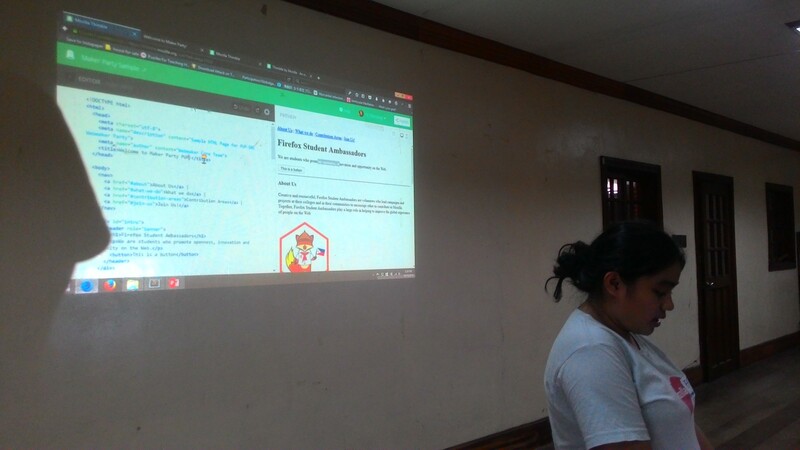 Then as every group puts content on the respective tags, the facilitators explained further what each HTML tag does and some of its attributes. Here is our finished HTML page on the wall. 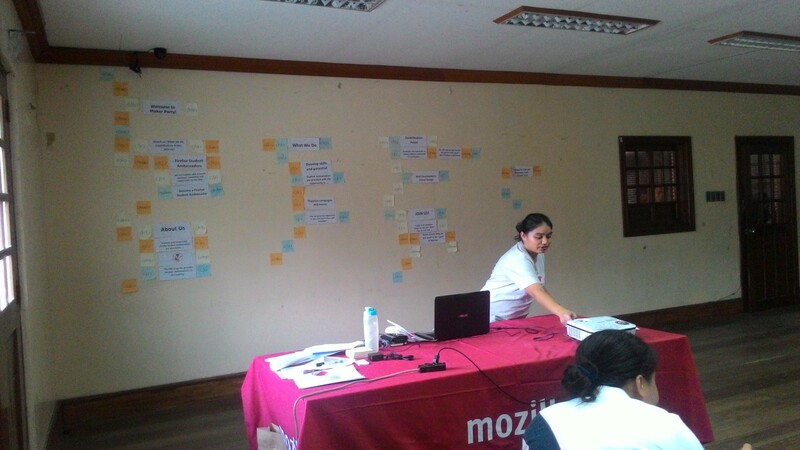 After finishing the webpage on the wall, I showed them Mozilla Thimble and how their code looks like on it. 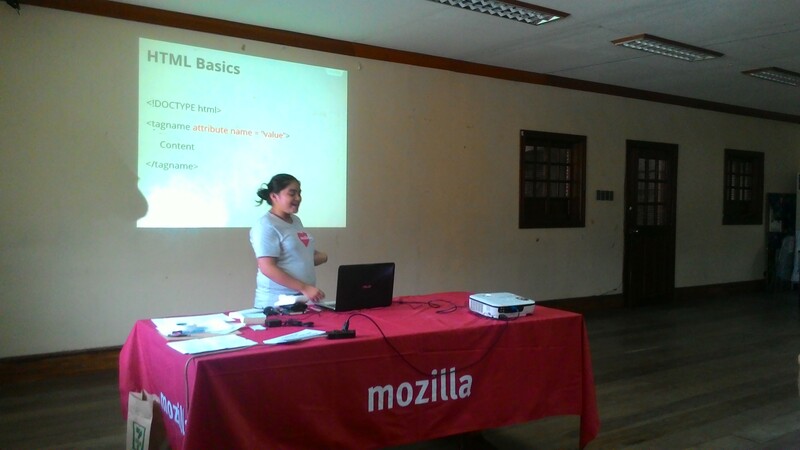 I also had a demo on how Thimble can guide them on building their own webpages. 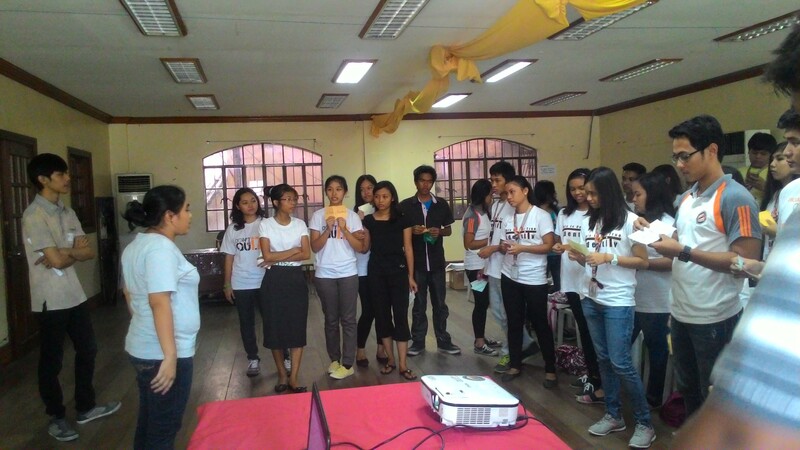 We had a total of 138 participants for the 3 batches and the event was a success because they learned the basics of HTML: start tags and end tags, HTML Page Structure and the different HTML tags. Here are the feedback from people who helped us in making this event a success. 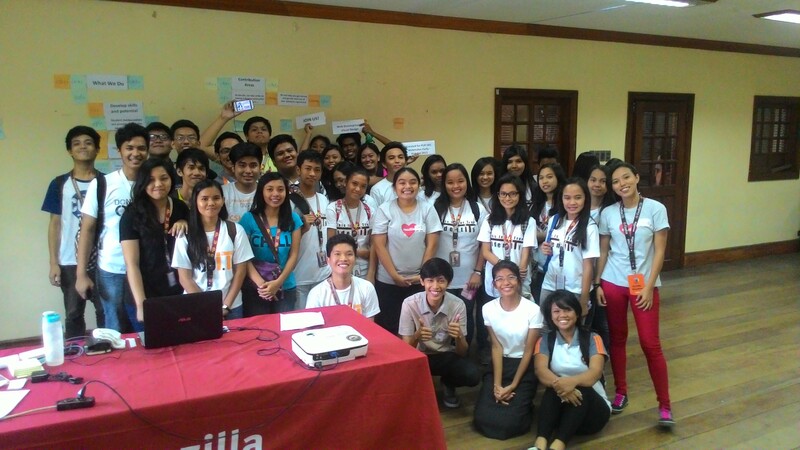 In behalf of the PUP – SRC Mozilla Club, I wanted to thank the participants for joining and ELITE for providing the resources that we needed to make this Maker Party a success. We are currently on the process of organizing more events so stay tuned! 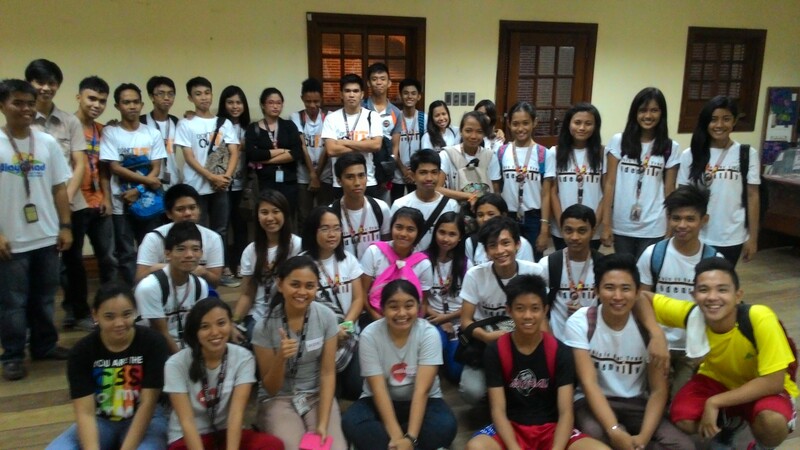 More photos available on PUP-SRC Firefox Club Facebook page. Click here. 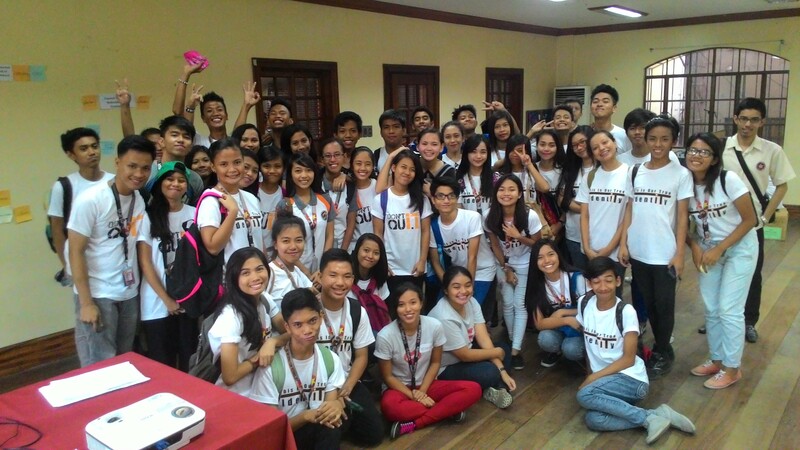 Reblogged this on Mozilla Clubs PH.